Capping a stellar career in the hospitality industry, Perry Sorenson retired as COO of Outrigger Hotels and Resorts. He started New Perspectives, an executive leadership training and strategic development program for hospitality-related companies. His presentations are much sought after by university business and travel industry management schools, and corporations. Perry’s expertise includes hotel and resort strategic planning, positioning, operations, and profitability. He excels at individual and group executive leadership development, organizational structure and effectiveness analysis. Perry’s first hospitality job was as human resources director for Rock Resorts Inc. Armed with an MBA, he gained valuable experience as hotel operations manager for large resort hotels. As Radisson Hotel general manager, he launched a new Massachusetts property that achieved third year pro forma results, the first year. Joining Promus Companies in 1980 (later part of Hilton Hotels), he oversaw all facets of regional hotel operations. In 1991, as COO, he helped grow Embassy Suites from 23 to 102 properties, by fostering a customer service culture. This became a cornerstone of Embassy Suites’ competitive advantage. In 1991, Perry became COO for Outrigger Hotels and Resorts, a privately held Hawaii company. His focus was to expand hotel operations throughout the Pacific. He established a competitive advantage through a values-based business model, incorporating cultural values of the locales and delivering authentic hospitality. All operational divisions participated in the overarching strategy initiative. Among his accomplishments was the creation of the OHANA hotel brand. Outrigger’s off-Waikiki beach properties provided a unique marketing challenge, and the new entity sparked revenue growth and expansion for both brands. He also introduced franchise brands (Marriott and Embassy Suites). These strategies enhanced distribution opportunities and substantially grew revenues and profits. His masterpiece was the oversight of the hospitality aspects of the development of Waikiki Beach Walk. Truly an important destination property, the parcel went from 7.8 acres of tired, limited service hotels to 100,000 square feet of premium retail space, renovated hotels, an Embassy Suites Hotel, a timeshare component, and the Trump Condominium Tower. At retirement, hotel revenues exceeded $500 million annually, and Outrigger’s business had expanded from presence only in Waikiki to 47 owned and managed properties in the neighbor islands, Guam, Australia, New Zealand, Tahiti, and Fiji. Sorenson completed The Wharton School, University of Pennsylvania Executive Development and Executive Strategic Planning programs. He earned his MBA and BS in Psychology from the University of Utah. Perry has served as Chairman of The Hawaii Hotel Association and Visitor Industry Charity Walk boards. 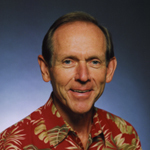 He served as President for the Hawaii Hotel Association, Oahu Visitors Bureau, and President of the Pacific Club. Perry is from Utah, speaks fluent German and conversational Spanish. He is married with three grown children. He enjoys photography, travel, swimming, tennis, hiking, skiing, and SCUBA.